The Carriage House would make an ideal equestrian property as it sits amongst 2 1/2 acres of lawned garden with its own private paddock and stable block. The accommodation does require some modernisation briefly comprising entrance vestibule, spacious reception hallway, downstairs cloakroom/w.c, sitting room, formal dining room, fitted kitchen/breakfast room with feature Rayburn stove, separate utility room, 2nd sitting room/bedroom 4, study/bedroom 5 and a ground floor bathroom/w.c. 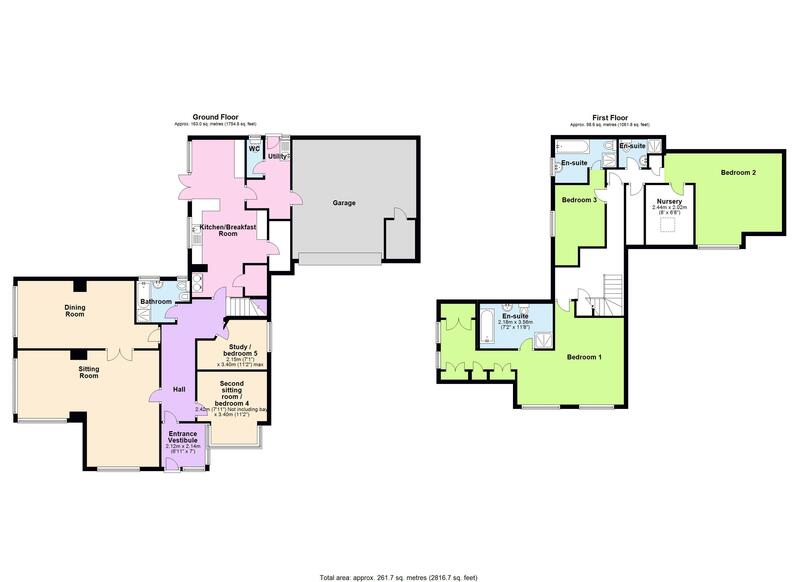 On the first floor there are 3 further bedrooms all with en suite facilities with the master having a dressing room and bedroom 2 having a separate nursery. Outside the property sits amongst level well tendered gardens approaching 2 1/2 acres with its own private paddock with stable block and larger than average storage shed. There is also ample driveway parking and integral double garage with electrically operated up and over door. The Carriage House occupies a rural position with the convenience of only being half a mile from the popular village of Marldon and 3 miles from the ancient town of Totnes. The Kingskerswell link road is within close proximity that connects Newton Abbot with its main line Railway link to London Paddington and Exeter with its regional airport.There are some fabulous walks direct from the property and the popular John Musgrove walk leads to Totnes. 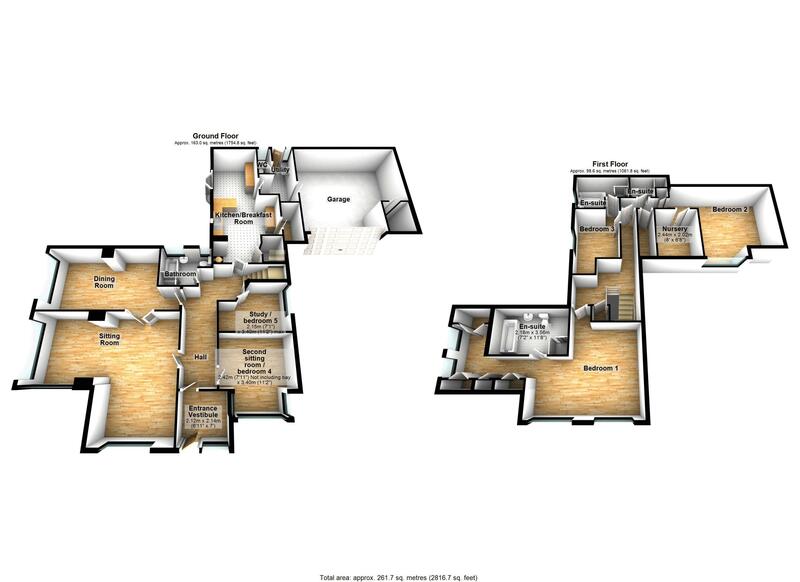 An early inspection is essential to appreciate the size, position, potential and flexibility the accommodation boasts.